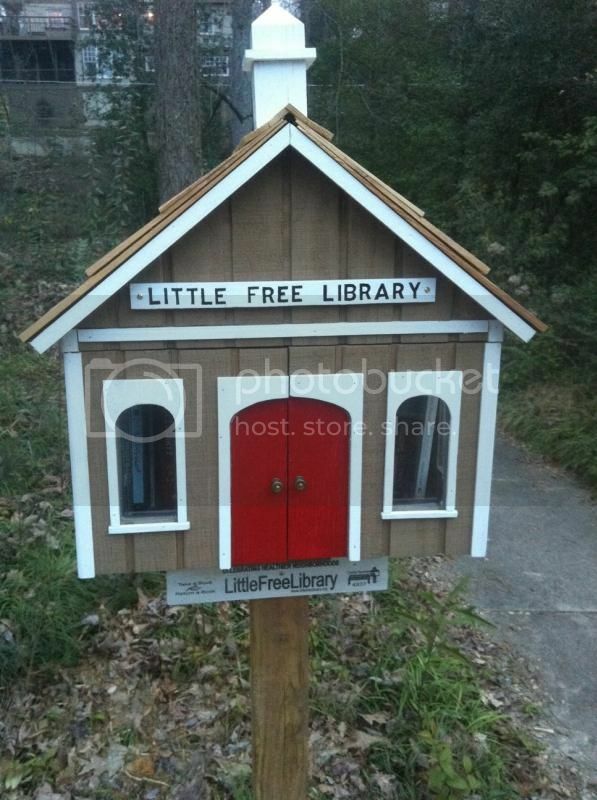 I am having so much fun visiting my local Little Free Libraries. 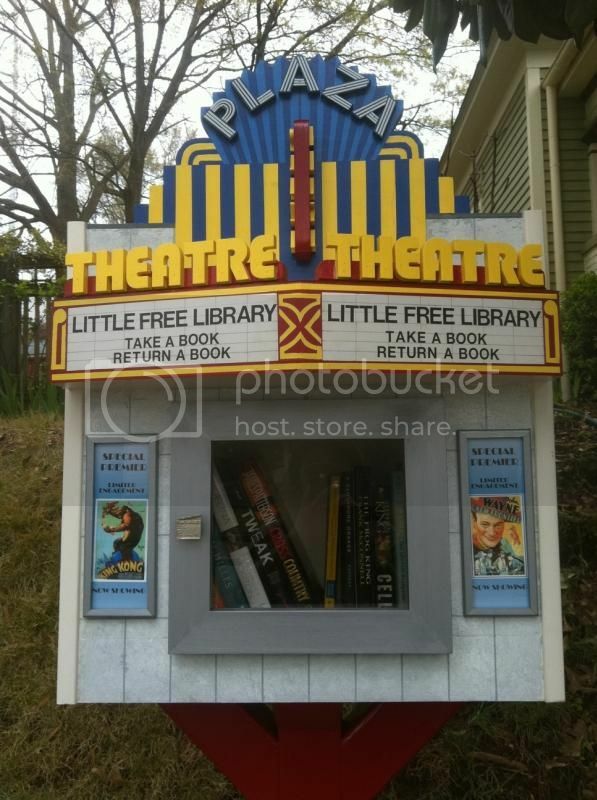 If you haven't heard from them, basically, they are little boxes, maybe a bit bigger than a birdhouse, where you can leave a book, or take a book... for free! I guess the thing I love about them is that each one is like a tiny, charming surprise. Each one that I've seen is decorated differently. People are so creative! You probably have one close to you - check the map. If you don't have one near you, you can start one. You can pour as little or as much money into it as you wish. 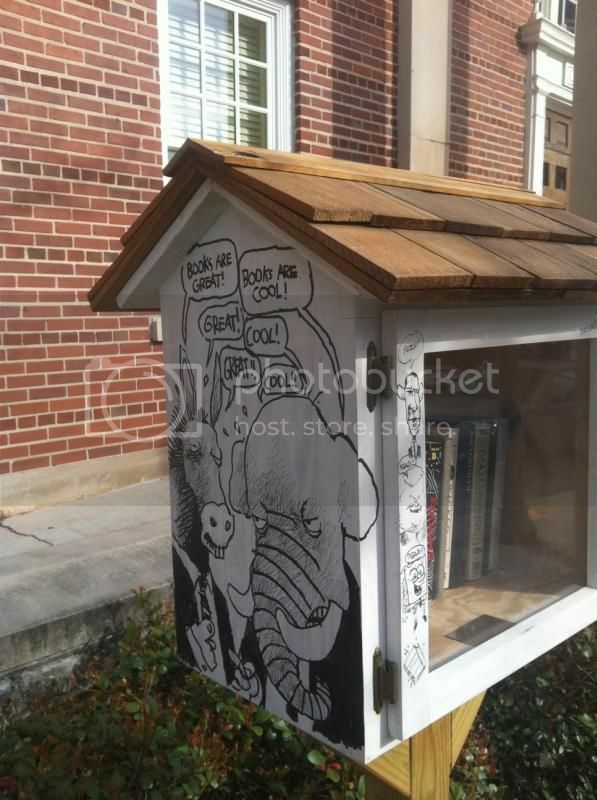 You can purchase a Little Free Library box from their website, or they helpfully provide plans so you can build your own, or you can use your own creativity and build something of your own design. 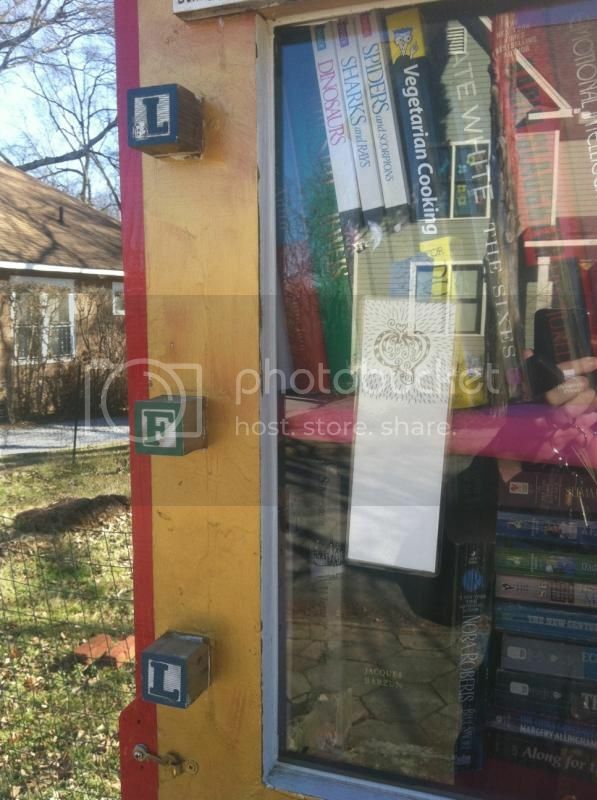 Personally, I have waaaay too many books - I'm having a lot of fun leaving books at Little Free Libraries and seeing people take them. This is such a great idea! A book blogger I follow, BookBelle, created one of these but I never realized that it was part of a larger network. There are two in my immediate area. I am loving the "treasure hunter" aspect - I find new ones popping up all the time! The only thing I find disheartening is folks who leave questionable materials at Little Free Libraries. I understand that one man's trash is another man's treasure - but sadly at many Little Free Libraries I've found crusty, falling apart, moldy books, travel guides to Canada from 1996, orphan volumes of an encyclopedia from 1989, shoddily made religious tracts, or old air conditioner repair manuals. On one hand, it speaks highly of people's regard for the written word. Like, they feel bad about throwing something --anything-- even remotely resembling a book into the recycling bin. But, ultimately, I think it really goes against the spirit of the whole thing. 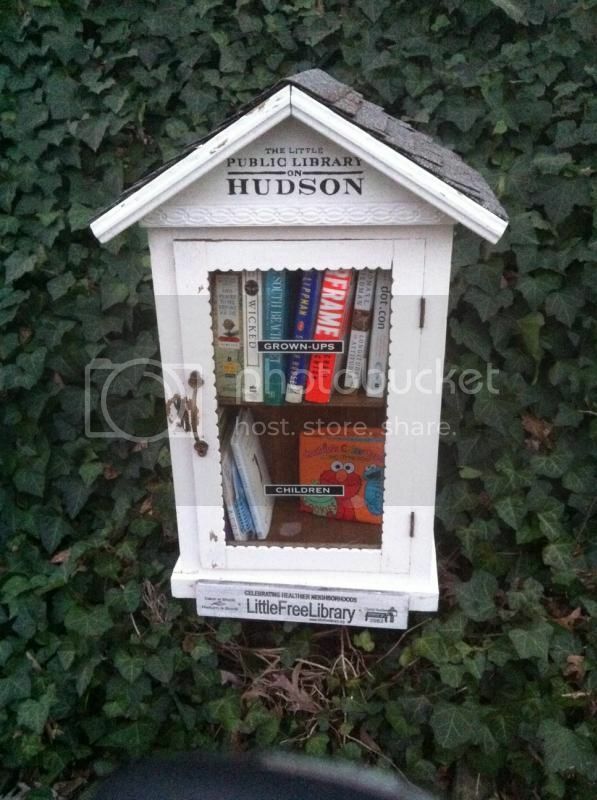 Little Free Libraries should be a place to share your favorite, "can't wait to share this, hope everyone in the world reads it" books. Not the trash that you feel too guilty to throw out.